Actors know the OMG moment well. You win the audition and get the part. Then comes hard reality: You actually have to do it. 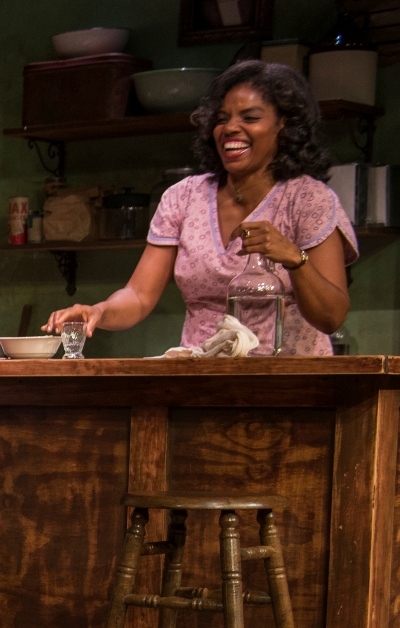 But for Tyla Abercrumbie, who gives one of those performances you can’t take your eyes from in Eugene Lee’s “East Texas Hot Links” at Writers Theatre, the daunting truth was not simply that she had to measure up to what she’d won: She had to figure out why her character was even in the play. 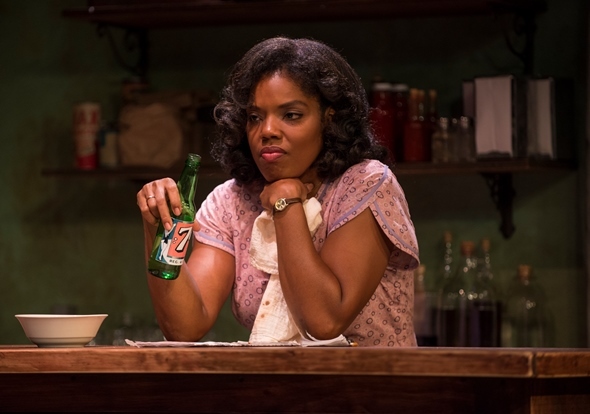 “I’d read it several times and always thought Charlesetta was a beautifully written, wonderful role, but the truth is I didn’t initially know what her purpose was,” says Abercrumbie of the solitary woman who somehow manages to be both on the periphery and at the center of a clutch of men in Lee’s earthy, funny work, which in a final stroke turns stunningly tragic. “Why is she here? Why does she stay? I wondered if you could remove her from the play and still tell the story. Then I started to realize that even though she’s younger than some (of the men) and older than others, they all place some level of faith and trust in her. “She’s maybe in her late thirties and sees forty on the horizon. Charlesetta’s in this space you’re in when you’re not a child any more. She’s not going anywhere. This is her place and her life. She knows it isn’t the best place to be, but it is what it is. It’s like, I am here. She says, ‘Thank God that highway ain’t gonna cut through these woods’” — and blast away this precious preserve of safe community. It is East Texas 1955, a perilous time for the black locals. Life is shaped and limited by white men’s oppressive rules, and violators are dealt with severely. This little café, which Charlesetta has inherited from her father, is a humble social club and sanctuary – as Abercrumbie says, the safest place for black people to be, next to the church. “The café is like Cheers, that place you go to that is home away from home,” she says. “It’s familiar. You’re comfortable being who you are around people you know well. It feels like family even though there are no blood lines. It’s that piece of the community we all long for. Not that she doesn’t get offers. She’s the apple – or maybe better, the peach – of young Roy Moore’s eye, and Roy (played by Kevin Roston, Jr.) makes clear his far-from-Platonic interest daily, and in a broadly public way, to the amusement of the café’s older regulars. 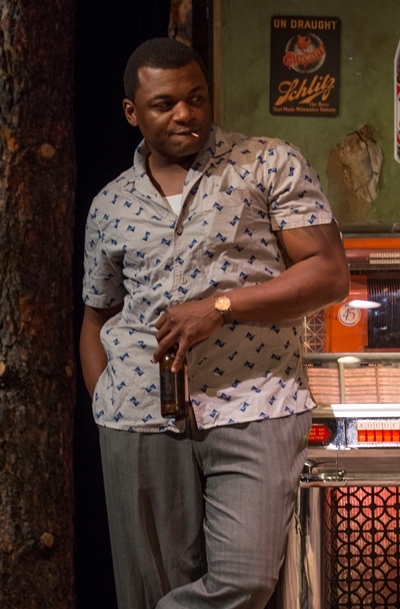 Though Charlesetta keeps Roy at bay, says Abercrumbie, she’s not exactly put off by his advances. 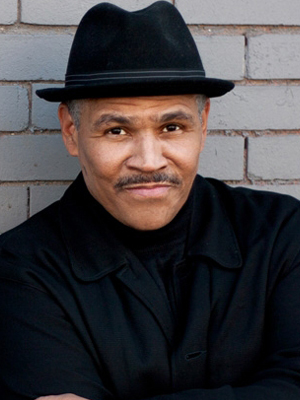 Assured though she is in Charlesetta’s persona now – indeed, her warmth pervades the show – Abercrumbie admits that getting there involved many a conversation with director Ron OJ Parson. “In the first rehearsals, I was misinterpreting the aggression in Charlesetta’s character as anger,” she says. “Ron reminded me to always take what the writer gives you, which is that she actually likes all these knuckleheads. She isn’t angry, but a very loving woman who has inherited not just the bar but the legacy as well. Being black in America never has been about job and career, but about survival. When you’re focused on surviving, you don’t stop to calculate what’s my dream, you just keep it going, keep it open. And you count on community. “As we got deep into the play, I found myself overwhelmed by how we’re still dealing with so many of the same issues today — how many young mothers lose their children to violence. I became exhausted just thinking about this. How much have we progressed? I want to believe the terrible events of the play are not possible today, but in rehearsal we found ourselves talking about a shooting that had just happened. In “East Texas Hot Links,” it’s an act of community love that simultaneously brings down destruction and engenders hope. Both eventualities center on the youngest character in view, an ambitious and naïve lad called Delmus (Luce Metrius). It was Charlesetta’s connection to this optimistic, impatient youth that provided Abercrumbie with the key to her character.